From elegant townhouses to galleries, schools and churches – “herringbone” is the image most often thought of when “parquet” floor is mentioned. 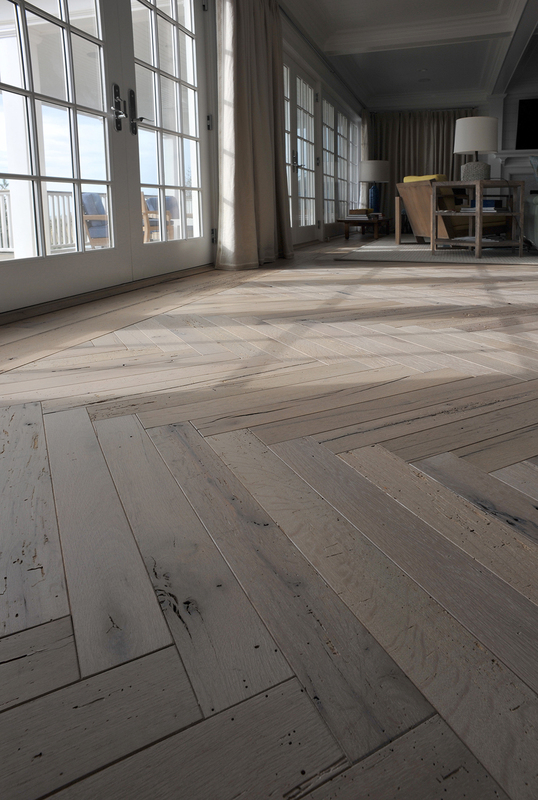 The History of herringbone dates all the way back to the 16th century. It was such a successful pattern that it’s still used in today’s designs. Its roots can be found in France where one of the earliest instances exists. The pattern is now known as “batons rompus” which literally translates into, “broken sticks.” In the 16th Century – the Francois I Gallery in the Chateau de at Fontainebleau is alleged to house one of the original instances of a herringbone floor (thought to have been created by craftsmen who Francois hired from Italy), alongside its beautiful works of art. It increased in popularity in the UK all the way through the 1930’s. Despite its popularity, the installation of a herringbone floor is not an easy task – the direction, line-of-sight and overall effect must be taken into consideration when laying out the pattern. Each component must be laid precisely, to ensure the pattern runs smoothly. Our highly skilled craftsmen are experienced in the installation and finishing of intricately designed floors – using traditional methods combined with the latest technology to produce remarkable results. Often combined with a simple strip or block border in matching timber – or contrasting and ornate bespoke border pieces, our Woodwrights Wide Planks are always custom. Natural oil finishes complete the look allowing the natural beauty of Woodwrights planks to shine through and create an unforgettable statement in your home.